Since commercial fishing commenced in 1967 the fishery has been proactive in managing the prawn resources, to not only improve production but to also reduce environmental impact. 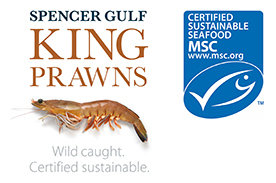 An Environmental Management System (the On Boat Management System) has been created by the Spencer Gulf and West Coast prawn industry as a tool to encourage and demonstrate good environmental practice by industry, contains best practice environmental standards as well as occupational health and safety checklists and forms and maintenance of high hygenic standards. It also contains information related to marine pests, to assist fishermen with identifying and reporting threats to the marine environmental in which they fish. A conscious effort has been made by the industry to minimise impact to benthic organisms and by-catch (non-target species) by developing new technologies, including changes to nets and gear, the introduction of the hopper-conveyor system and changes in the way fishing takes place.The most significant improvement of the prawn fisheries to reduce their ecological impact has been the reduction of fishing effort and constriction of spatial impact. When prawn fishing originally began, fishermen were out fishing for a substantial proportion of the year, in all available fishing grounds. Much of the research that the fishermen have done, in conjunction with the South Australian Research and Development Institute (SARDI), has identified biological characteristics, habitats and movements of the Western King Prawn. 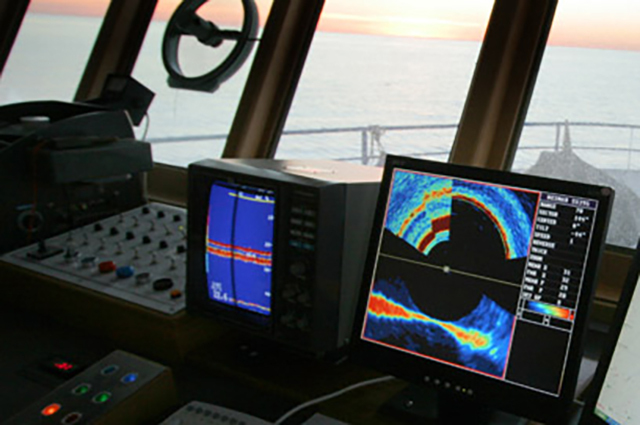 This information in conjunction with vessel improvements has reduced fishing effort by minimising times when prawn fishing occurs for optimum catches. For example prawn fishing now only occurs at night, over the dark of the moon, during months when waters are warmer and the prawns are most active. In 2012/13 the Spencer Gulf Prawn Fishery operated for 54 nights and the West Coast Prawn Fishery operated for 77 nights. Reduced fishing effort is supported by focusing effort in specific locations to optimise prawn catches. Fishermen began closing areas to fishing, through the introduction of gentlemens agreements. This was in response to avoid certain by-catch, such as other juvenile commercial species and syngnathids. Self-imposed closures are still in place today. The Spencer Gulf and West Coast Prawn Fisheries operate under legislation that regulates their operations. Specifically the Fisheries Management Act 2007 and subordinate regulations and Management Plans. Some of the requirements of the fisheries is summarised in the Fisheries Management, Fishery Controls table. The effective and constructive relationship industry has with government (PIRSA Fisheries and SARDI) has grown over many years and is testament to the good management practices in the Spencer Gulf Prawn Fishery. The fishermen have continually demonstrated their commitment to improving their fishing practices and working with other industries, the conservation sector and businesses as well as government. It is in the fishermens best interest to look after the marine resource in which they operate; to ensure sustainability of the fish stocks and continued fishing into the future. Received the highest assessment by the Commonwealth Department for Environment, Water, Heritage and the Arts, under the Environment Protection and Biodiversity Conservation Act; commenting on the good management practices undertaken. Been recognised in the recently released Food and Agriculture Organisation of the United Nations (FAO) Report Technical Paper 475 Global study of shrimp fisheriesas an exemplary example of a well managed fishery. Been recognised (with only five other Australian fisheries) under the Seafood Assessment Program established by the Australian Conservation Foundation as being sustainable with a very good management regime. Certified by the Marine Stewardship Council (MSC) sustainability criteria.